A sea setting which enchants visitors and is etched on their memory with indelible colors. An absolute master of the sight, the deep Aegean blue of Ornos bay “embraces” the moored boats and luxury yachts. Golden sand, clear waters and plenty of restaurants, cafes and beach bars along the coastline… Sea View Residence is fortunate to gaze at this landscape. 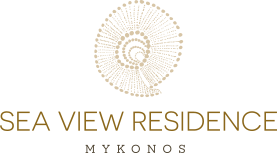 Built in one of the most privileged locations of Mykonos, right on the edge of a small hill in the area of ​​Costa Ilios, it gives shape to the dream of relaxing holidays with the open sea in the background. 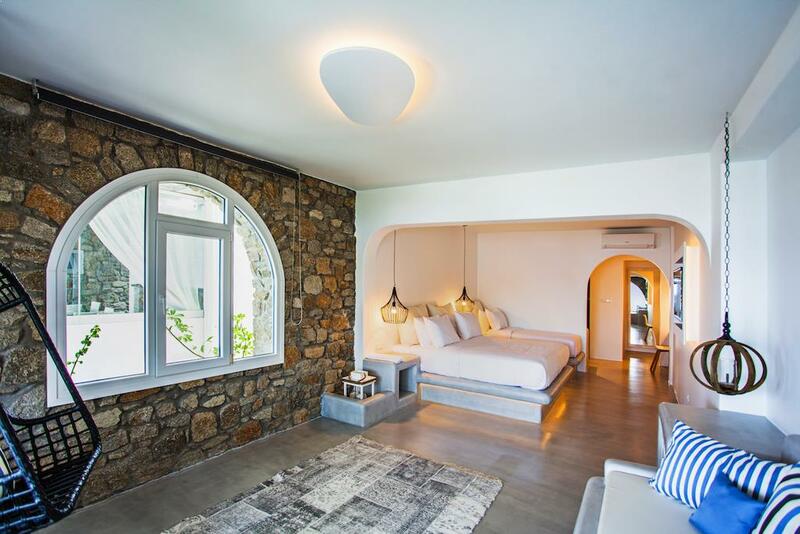 Entirely built from natural materials –stone and wood, according to the standards of the local architecture and minimalism, Sea View Residence seems like the extension of the Mykonian nature. In perfect harmony with the raw patterns of Cyclades and its peaceful location, it reflects our philosophy for simplicity, lighthearted stay and privacy in a lounge environment. The sense of harmony and stability is diffused in all public areas of Sea View Residence, while it is heightened in our luxurious, comfortable rooms and suites. Nothing has been left to chance at Sea View Residence and nothing reveals ostentation for luxury. 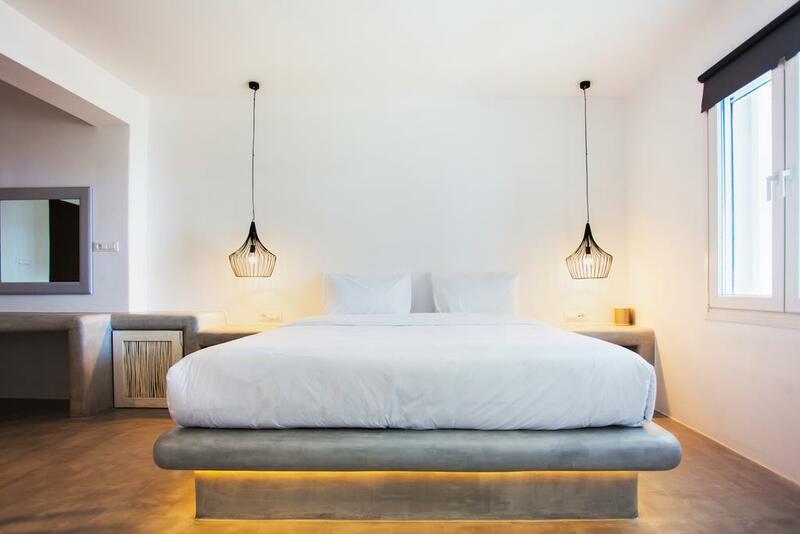 This is proved by the 18 elegant functional rooms and classy suites that after a radical renovation, have been transformed into contemporary personal retreats. 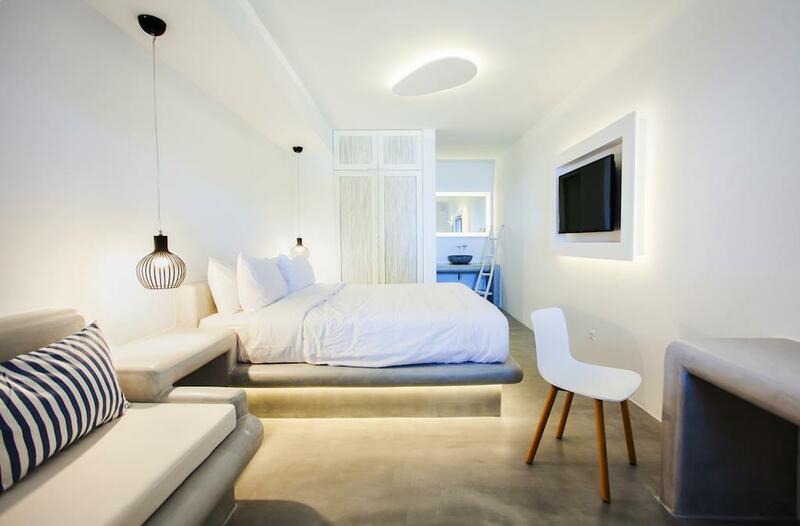 Modern esthetics, stylish furnishings, lighthearted design, models of discreet luxury, full equipment and breathtaking sea view constitute common features in all apartments, with its overabundant king size beds and the spacious terraces which, what else could “look at”? The Aegean. If you feel like socializing, or if you always want to stay connected, take advantage of the free Wi-Fi. If you do not want to part from the beautiful microcosm of your room, then step out on your private balcony and simply collect beautiful moments. Hammocks, sunbeds, infinity pool... addictive setting! At Sea View Residence you lose track of time. You surrender in the vastness of the sea, gazing at the picturesque village of Ornos and “dive” into your inner world … or into the idyllic overflow pool with jacuzzi, which prevails in the middle of the complex. The crystal clear waters become one with the horizon and the Cycladic sky. The exotic hammocks, the layback sun beds and the ottomans around it, challenge you to praise them and let yourself be carried away by the touch of the hot Mediterranean sun while enjoying refreshing cocktails from the pool bar. The evening will find you here again, along with residents of Sea View Residence or visitors who “envy” our beautiful view and our spectacular pool. There are many reasons why staying at Sea View Residence forms a unique experience. One of them and perhaps the most important one are our services which begin already with the reservation of your room and end with our farewell at the port of Mykonos. 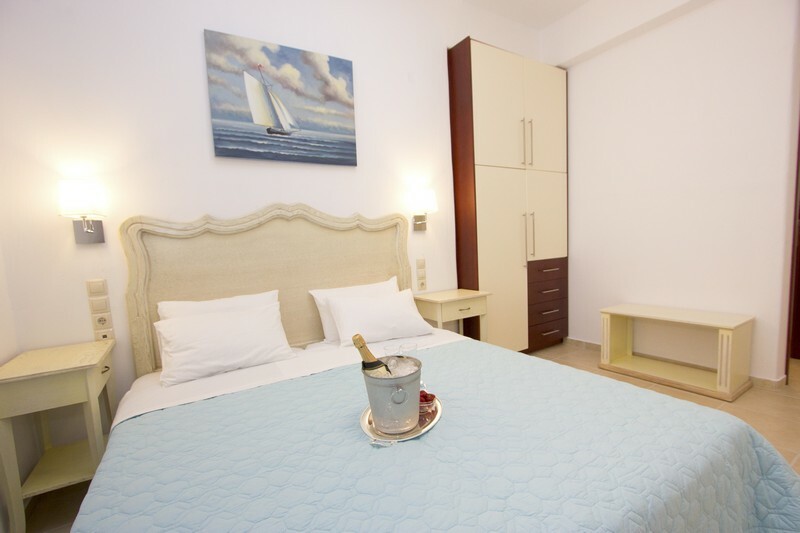 With a strong sense of hospitality and respect to your need for substantially relaxing vacations, we take care of your needs providing full customer service… Until next time you travel to Mykonos and visit us. We are waiting for you! Excellent location and view, staff are excellent too. Everything at your disposal. Loved the place, very cute and small with friendly guests as well as staff! Igor and his staff paid very close to attention to all of our needs and we were very close by to everything! The pool view is amazing you will fall in love! Beautiful views, Nice if you want to get away from the hustle of the rest of Mykonos. Nice view, nice location, nice people! Wonderful place and view! The apartment was spacious, clean and comfortable. We will go back for sure. Wonderful place and view, perfect hospitality. Igor and his family are doing a great job. We will go back for sure!